* Every crystal has two types of lattices (i) A direct lattice and (ii) A Reciprocal Lattice. The is a microscopic image of the crystal and the reciprocal lattice is an x-ray diffraction pattern of the crystal. 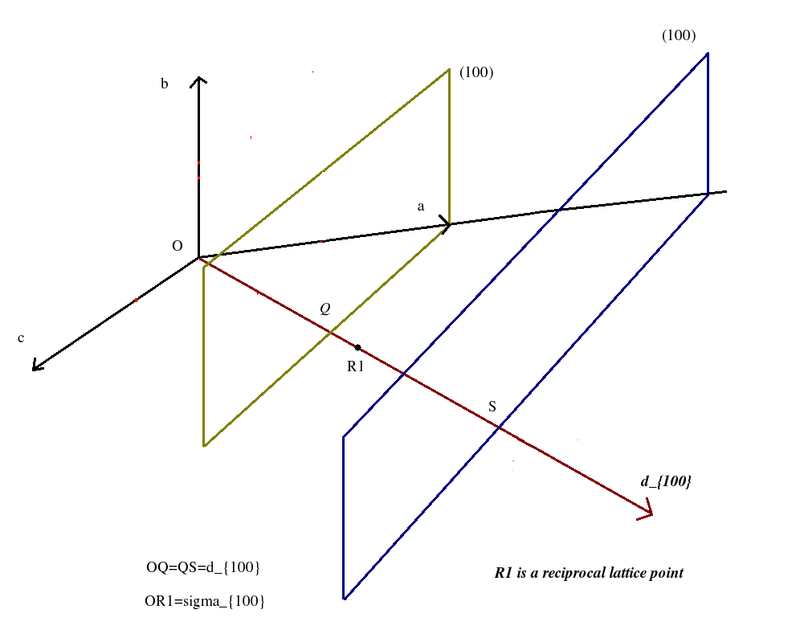 A, B, C being the primitive vectors of the reciprocal lattice and h, k, l being integers. Now lets ponder for a while why at all we need something like a reciprocal lattice? When we deal with crystals, we should know that their physical properties quite often depends on particular directions inside the crystal: we then say that the crystal is anisotropic. 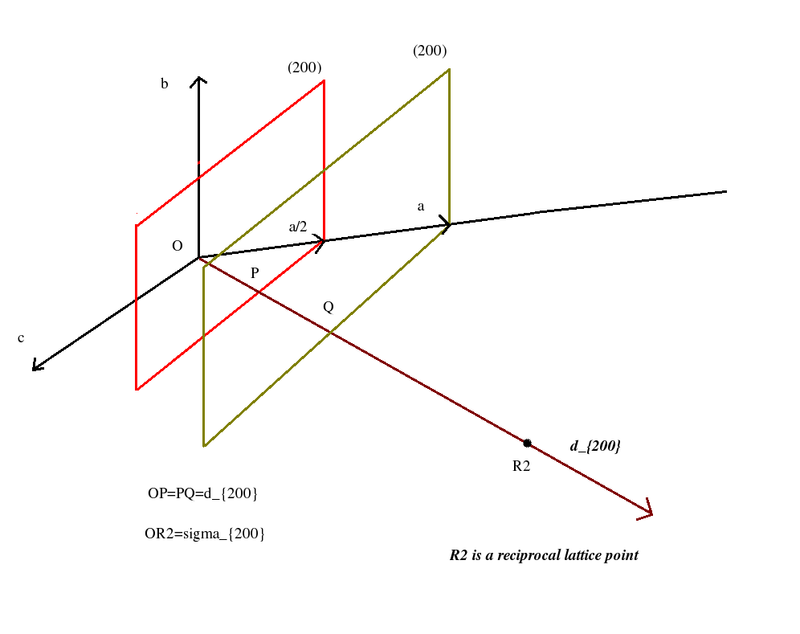 This anisotropy can be explained by the fact that inside the crystal there are many sets of parallel planes which are oriented in different directions. Interestingly the normal to these planes represent the same directions as do the planes. However, while these planes are two-dimensional, their normals are one-dimensional. Hence it would be much simpler if we used the normals to study the crystal. 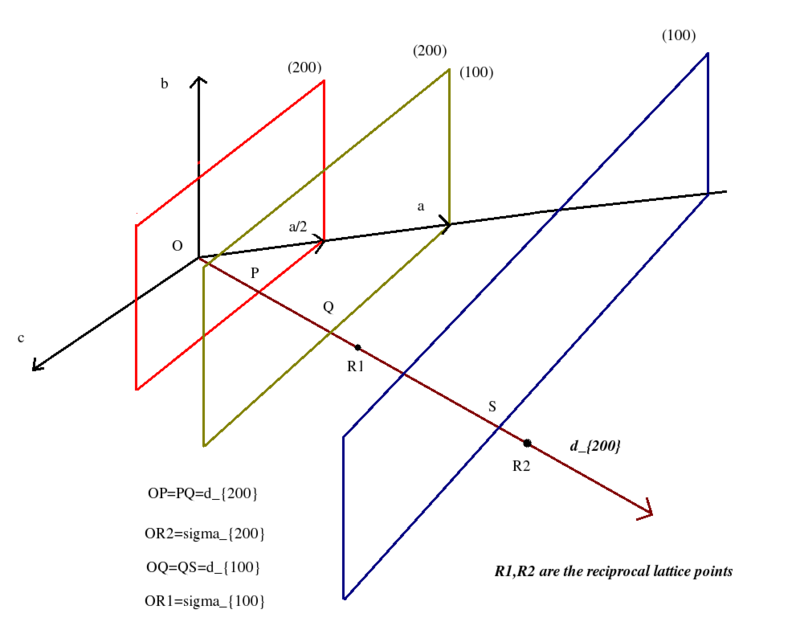 Besides, when we study X-ray diffraction in a crystal we would see that x-rays of a particular wavelength and particular glancing angle would be diffracted from only a particular set of planes (hkl) having a fixed interplanar spacing. 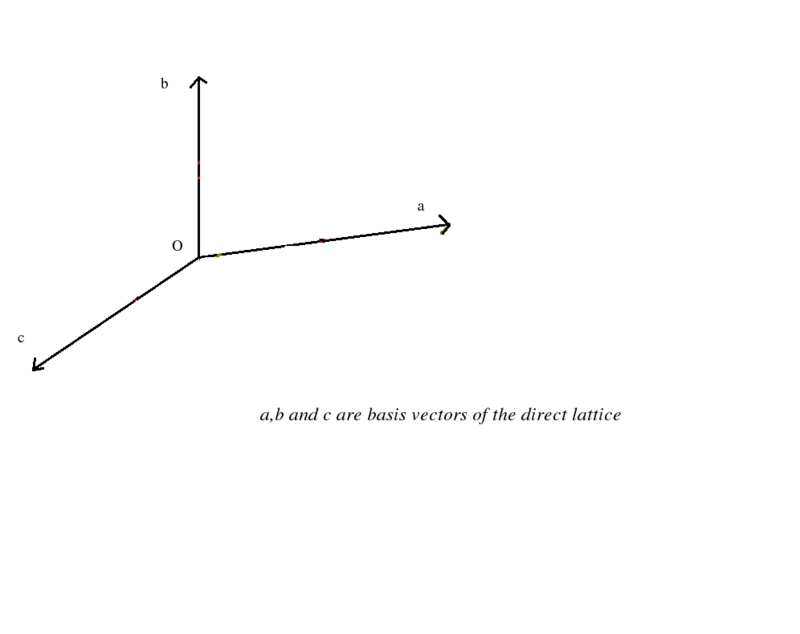 Keeping the above points in mind we may proceed to construct a reciprocal lattice from a direct lattice.